Dino Zamparelli was born on the 5th October 1992, at Bristol’s St Michaels Hill hospital. Dino is half English, but his Italian origins have gifted him a textbook racing driver’s name! "I was about 6 years old, and I had this little red Go-Kart where I lived, it was quite quick for a 6 year old! I loved speed, and anything with four wheels and an engine, from that moment onwards!" Dino enjoys playing the piano in his spare time, despite never having any lessons. He achieved 4 A*, 5 A’s and 1 C grade in his GCSEs. Dino went to school at QEH Bristol – the same school as Bristol City player Joe Bryan and Bristol City director Jon Lansdown. Dino’s favourite sport other than racing is tennis. He plays in a weekly 5-a side football competition in Bristol with his friends. Dino can speak 3 languages fluently: English, French and Italian. He also speaks some Spanish. His favourite animal is a cat and he has two of them. On the weekends, when he’s not racing, Dino enjoys watching Bristol City Football Club play at the Ashton Gate stadium in Bristol. Dino’s Father is Italian and his Mother English. He has spent more time in England in his life, but admits to feeling a ‘connection’ with Italy, having spent 7 years on the French/Italian border, and racing in Italy for 3 of those years. Dino’s favourite quote is: ‘It’s Hard to Beat Somebody Who Never Gives Up’ – and is painted onto the back of his racing helmet. 2008 saw a 15 year old Zamparelli take 10 wins, 15 podiums, 8 pole positions and 9 fastest laps in 24 races in the Ginetta Junior Championship. This allowed him to take the championship crown and with it, he was selected to become a 'BRDC: British Racing Drivers' Club 'Rising Star'. He also won the Peter Collins' Memorial Challenge Trophy for the best newcomer to car racing. "My career started in the Ginetta Junior Championship at the age of 15 in 2008. I managed to win the championship at my first full attempt. This would raise my profile and allow me to move into single seaters the following year at 16 years of age." "It was a great year for me as it put my profile on the map and people knew my name. It was the first year that the Ginetta Junior's supported to the BTCC events, so there were 20,000+ people watching us race. It was amazing to start my career like this!" "2009 marked the first year of my single seater career. I was pleased but felt like I should have achieved more and was eager to return and win the Championship. Unfortunately 2010 saw us have a year out, but we returned in 2011. Formula 1 was the dream and I knew that winning in the Formula Renault Championship was the first step on the ladder to get there. In his first season in single seater racing, Zamparelli impressed with 3 wins, 9 podiums, 3 pole positions and 1 fastest lap out of 13 races. This would see the 16 year old take 3rd overall in the competitive championship and continue his rise as one of the most promising young British talents on the Motor Racing scene. After a year out in 2010 due to financial worries, 2011 saw Zamparelli return to the Formula Renault BARC Championship and he duly delivered by taking the Championship crown after 12 races. With 4 wins, 8 podiums, 6 pole positions and 5 fastest laps overall, Zamparelli would become the Formula Renault Champion and propel him onto European scene the following year. As a result of his success in 2011, Zamparelli was also selected as a finalist in the 2011 McLaren Autosport BRDC Young Driver of the Year Award. "I really enjoyed 2011! It was a year that I was able to prove I could learn everything that I learned in 2009 and after doing not much in 2010, it was amazing to come back and win the following year. The team and I worked well and we were super fast everywhere." "I was then selected as one of the 6 top young UK drivers in the year so that was pretty special, and we got to drive some awesome machines in that award. I didn't win it, but it was a real honour to be nominated for that. After 2011, we knew we had to move to European racing and start to edge closer to the dream of racing in Formula 1." In 2012, Zamparelli moved to European racing and competed in the FIA Formula 2 Championship. With more power, torque and downforce than he was used to in 2011, and with limited testing, he admits to being content but not over pleased with finishing 8th overall. With 2 podium positions as the highlights of the year, it was a character building year in the competitive one make series. Racing all around Europe, Zamparelli was able to learn the European circuits, which would serve him well in future European races. "2012 was a tough year but it was a solid first year in European racing. I naturally expected a lot more from myself, more challenges for podiums and potential wins. However, I couldn't be too upset with one the one day of testing pre season. The car was a lot different to the Formula Renault BARC, so whilst it was tough, it was a solid start." "What Formula 2 did allow me to do, was start to work off track commercially and pick up some sponsors. I started getting some profile and building the social media platforms - all of which allowed me to move up into the GP3 Series for the following year." It was to be another character building year in 2013 as the move up to GP3 proved to be a difficult one. With the competition being some of, if not the best junior challengers all aiming for Formula 1, Zamparelli would have to take the year as a learning one. There were opportunities to take podiums and wins but rookie errors from both the driver and team, and luck would desert him. Several top 10 finishes did occur and qualifying in 7th at the Spanish round was the highlight out of 27 drivers. Despite a tough year on track, Zamparelli would continue to work on the commercial side of racing and learn crucial points for the following years. "2013 hurt a lot as I really stepped up my game but felt like it never came together with the team. I couldn't quite get the balance that I liked and in GP3, if you're not ready to go on Friday Free Practice, you get punished massively over the whole weekend. I learned a lot about the format of GP3 and how you have to be consistent for Race 1 otherwise Race 2 is hindered and so on. "Thankfully, I was able to pick up more sponsors and we were able to return in 2014 with the ART Grand Prix team, who were reigning team champions. This would allow me to know that the car was going to be fast and we could have a good crack at the Championship in 2014." 2014 allowed Zamparelli to return to the GP3 Series and showcase immediately his underlying pace. With 6 podiums overall in 9 events, 1 fastest lap and finishing 7th overall out of 24 drivers, Zamparelli was pleased to have a strong year. With the top 8 drivers being really close, it was to be a year of what ifs potentially by the end. At the season's end, Zamparelli was invited to test a GP2 car at the Abu Dhabi circuit and impressed with posting 7th fastest lap out of 24 experienced drivers. However, this was to be the last action in a single seater as for 2015, the 22 year old would move into sports car racing. "2014 was a good year for me and I can look back and be proud of what we achieved. It wasn't an amazing year because we weren't quite able to win a GP3 race, but with four second places and two third places, it was a season of more great memories than not." "We were in 2nd place in Russia as well, which would have secured a top 3 place overall, but it didn't materialise and we lost all the points. Nonetheless, I loved my last year of single seaters and I learned a great deal with an amazing racing team who have run some great drivers." "I tested a GP2 car straight after my last GP3 race and I think I did a great job by ending up 7th overall against way more experienced guys. So I have fond memories of 2014." "We decided to move into Sports Car racing in 2015 as Formula 1 no longer became the number one goal. I didn't envy seeing all these drivers having to find lots and lots of money to continue to compete in single seater racing. Commercially I was building and building around the racing programme, but to find the millions of pounds Formula 1 racing was asking, was beyond the realms of what was going to be possible. Therefore in 2015, we moved into the Porsche Carrera Cup Championship of Great Britain. Porsche is a great brand that I knew I could utilise fully in a commercial sense, and racing back in the UK would allow me to bring partners and sponsors to races more readily. I was excited for what was to come and to start racing in the Porsche Carrera Cup. Porsche is a single make series, all the cars are the same and we race at some of the best tracks in the UK, on the BTCC Touring Car support package. I knew that racing back on the BTCC package, in front of thousands and thousands of people and back live on ITV4 was going to be all positive." In his debut year, Zamparelli was expecting to be competing in the Top 3 despite no previous sports car experience. Pre season pace was positive but the races were not spectacular. With no particular result to write home about, after 6 rounds out of 8, Zamparelli moved teams and decided another car/team would help him show his pace more. There was an instant reward when he turned up at round 7 at Silverstone with his new team, GT Marques, and claimed two wins and a new lap record. Round 8 was positive with a brace of podiums and another fastest lap, further underlying the potential of top 3 in the right car, despite it being the first year in sports car racing. "Thankfully I managed to prove my worth for the final two rounds of 2015! It was a massively frustrating time for 6 rounds with the old team. The car just was not working for me and I was looking at them, they were looking at me, and so we called it a day with two rounds to go. Luckily the new team I chose had a strong car and I went on to qualify 2nd at Silverstone before winning both races. I was so happy I could show my true pace in 2015. "We then chose the same team for 2016 and decided we wanted to have a full run at the title with that team. 2015 was a good learning year, but 6th overall was not where we deserved to finish." With the choice of teams having being taken early on, it was a long winter of trying to raise the necessary sponsorship to compete again in 2016. Zamparelli worked hard to gather lots of sponsors, and with over 40 sponsors gathered to support the title push in 2016, Zamparelli finished 2nd overall with 3 wins, 11 podiums and 5 fastest laps in 16 races. It wasn't quite the overall win he was looking for, but a season he enjoyed both on and off the track. "2016 I worked really hard to get lots of sponsors and partners on board my journey. We had a lot of fun, won some races, got lots of podiums and finished up as vice champion. Obviously I wanted to go and win, and I feel half way through the championship we had the pace and the car to go and win. Indeed we were only 3 points off at the half way point. However, we endured some issues with the set up of the car, of which we never recovered from, and so I never got a win or a fastest lap after the half way point. In other words, we just couldn't compete as fast or as much as we did in the first part of the season. "However, that's life, I thanked the team for their efforts and moved teams for 2017. I have a strong feeling for 2017 and we'll be looking to continue our form all year." 2017 saw the return for the third time to the Porsche Carrera Cup Championship with the JTR Race Team, headed by Le Mans Winner Nick Tandy. It was a brand new Porsche outfit and small team mistake at the start of the campaign at Donington Park Round 3, saw Zamparelli's 2nd place taken away due to a technical infringement, which would ultimately prove to be the difference in winning and not winning the title in 2017. 3 victories, 12 podiums out of 14 races, 1 pole position and 2 fastest laps was the return from 2017, and would see Zamparelli claim 2nd place overall, tied on points with the eventual champion Charlie Eastwood. It was then decided on count-back of wins, and with Eastwood claiming 4 to Zamparelli's 3, the crown would be handed to Eastwood in a dramatic last race encounter. "It was an amazing year - so many good memories from it. It's definitely up there as my best year to date in my career. The highlight came at Le Mans when I claimed Carrera Cup GB pole, which was 2nd overall out of 60 cars and then went on to finish 2nd in the race. I led the race at the start and it was just such an amazing experience. 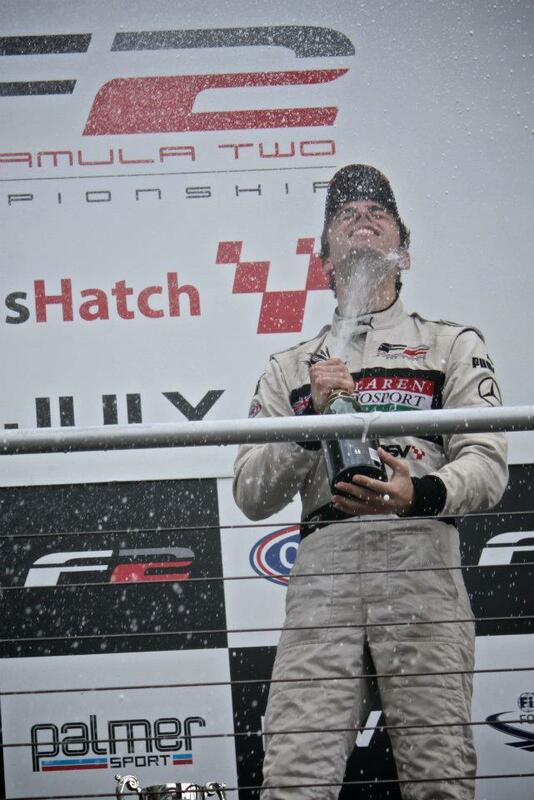 Winning both races at Silverstone in front of 100 of my sponsors and partners, was also amazing. Of course it was gutting not to win the title; and there are points you can look at in the season which cost us a lot of points. But we can hold our heads up high for a spectacular season with lots of good moments. A big thank you to the team and Nick Tandy for a great season." 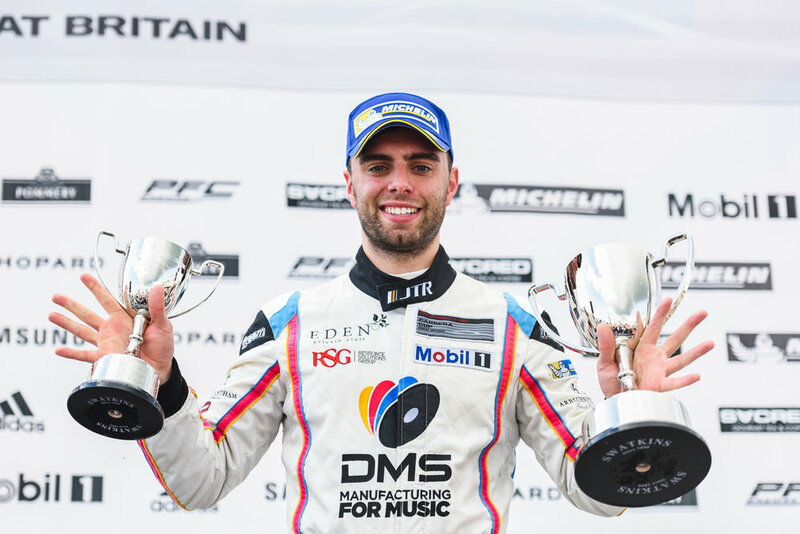 2018 will be the return for Dino Zamparelli to the Porsche Carrera Cup, but this time he will be racing with 10 time title winners Redline Racing. With the season getting underway in April and ending in September.